This Joma Jewellery bracelet is presented on a gift card that reads 'Wear this cupcake every day because you’re a star baker in every way'. 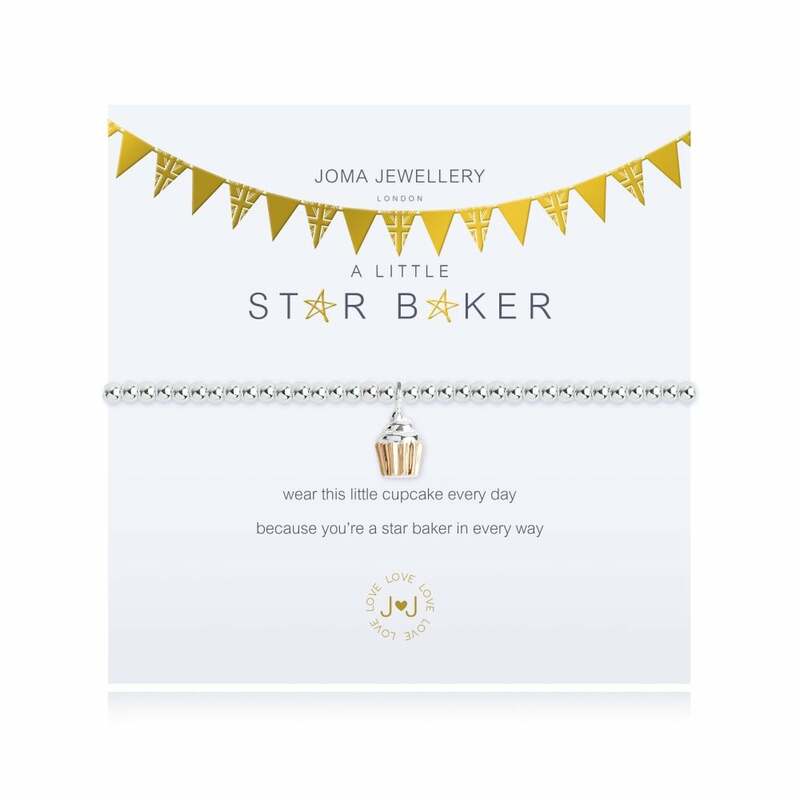 The perfect gift for those who love to bake, this A Little Star Baker bracelet from Joma Jewellery is delicious in every way! The elasticated bracelet is finished with a gold cupcake charm - the perfect treat for those with this tasty hobby!